Wholesale Lunch Coolers in many colors, personalized or blank (not custom imprinted). Our promotional lunch cooler is made of high quality 70D nylon. It features a side mesh bottle holder, a front zippered pocket and adjustable shoulder strap. Free artwork design. 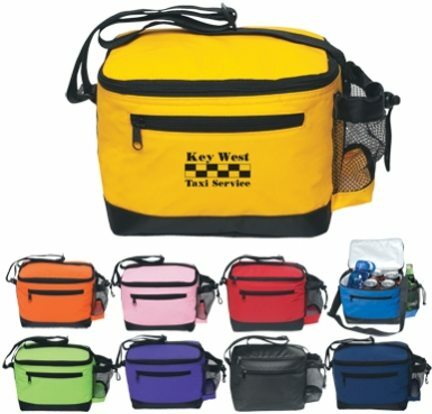 Budget Prices for USA, Canada for bulk personalized picnic coolers with extra pockets.